These days I don’t write often on the blog because I take a break to pen down my thoughts. Life has been hectic. Shifting and adjusting in a new place was quite a task for me. However, I’m back with a bang. This time I will be regular on my blogs. To begin with, this is my second jewelry collaboration post. This time it is with Blinglane (an online Delhi based store), which has a variety of gold, rose gold, silver, modern jewelry in their collection. So first of all I wanted this collaboration since so long and secondly, few days back I received a beautiful choker necklace from Blinglane. Wuhuuu!!! Chokers are never ending trend. 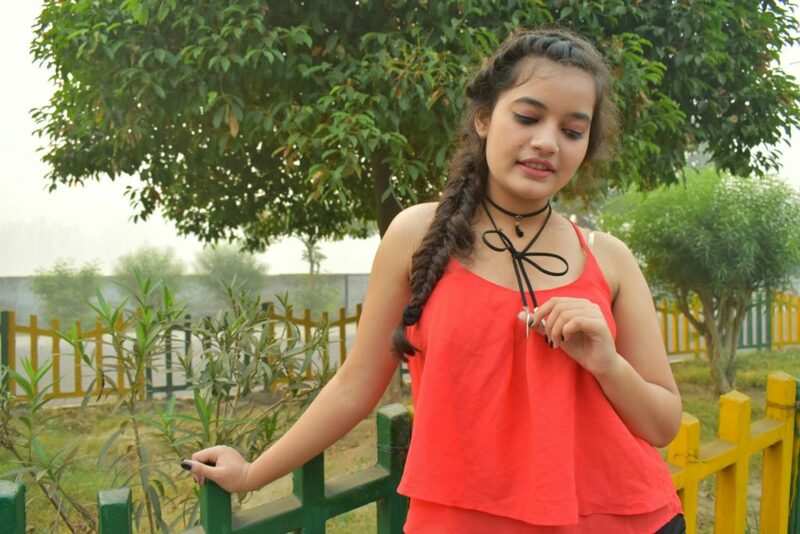 They popped up last winter and since then we see from fashion bloggers to models to national/international celebrities flaunting themselves wearing dainty chokers. 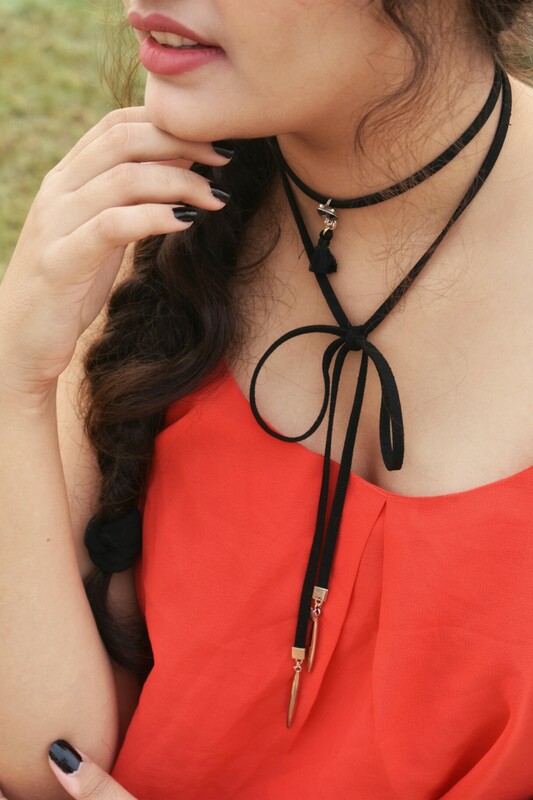 Chokers have long lasting impression and there is no signs of them slowing down. It depends on how one team it up with the outfit. 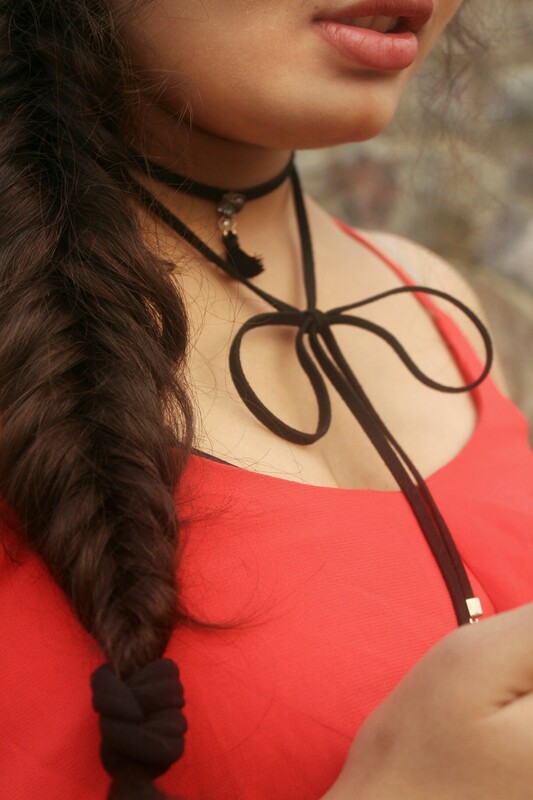 This Intrepid Ribbon Bow Choker Layered Necklace is a classic masterpiece and is a perfect add on to rock the edgy look. As I always say, your attire is one thing that makes you stand out of the crowd and by adding the right accessory, one can spice up the look easily. 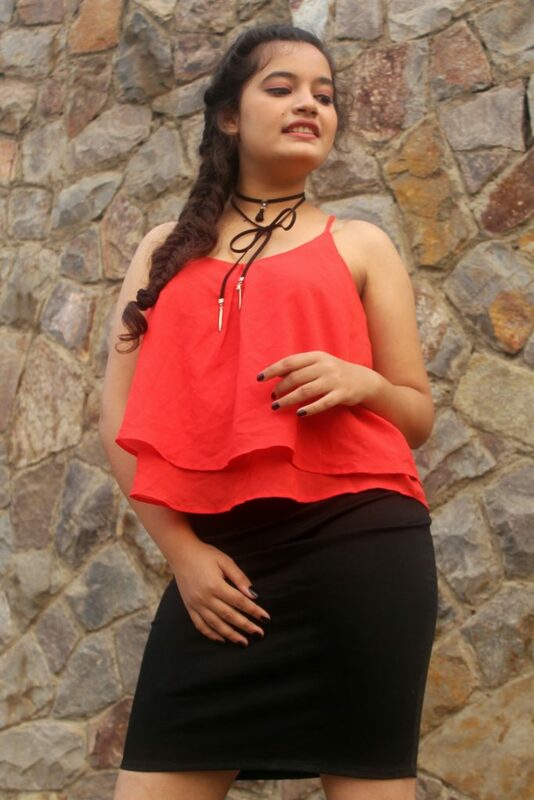 I paired this choker with red top that I bought from Janpath market, Delhi and wore a black pencil skirt (from Myntra). Lastly slipped into black heels from Shoppers Stop. Do let me know your views regarding this post in the comment section below. 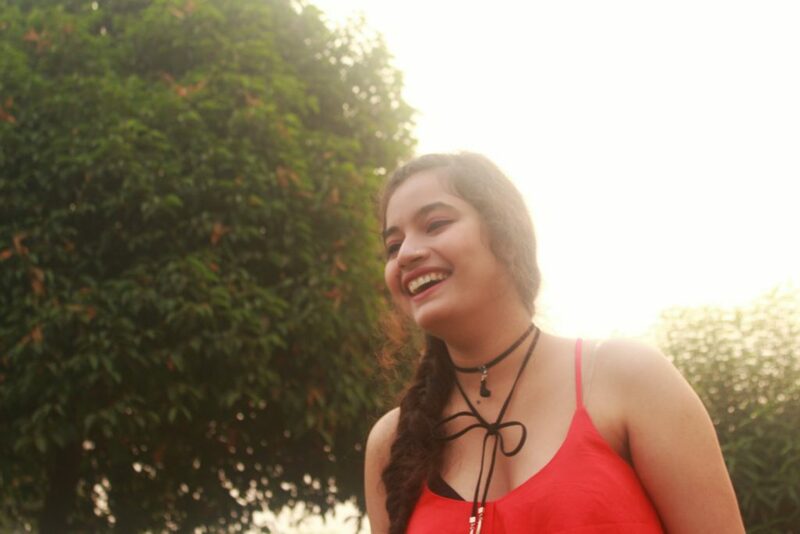 Also, I had a lot of fun during the shoot so yes, a huge shoutout to my friends namely, Shaily Asthana and Saubhagya Dixit for clicking my pictures and constantly supporting me.